Exchange 2010 SP1 “maestro” seminars start! This is a big week for Paul Robichaux and myself because we start our first Exchange 2010 SP1 “maestro” seminar in Boston on Wednesday morning; we then follow things up with a similar event in Anaheim from Monday to Wednesday next week. This is a joint production with Penton Communications, the people who publish Windows IT Pro Magazine. Paul and I have both written articles for the magazine for years now and it’s great to have an opportunity to do something different with them. We hope to be able to run other events after this pair – the material that we have is copious and (I think) in-depth, but the chance to run through it in front of a live audience can only improve the quality and insight of the information we want to deliver about Exchange 2010 SP1. PS. 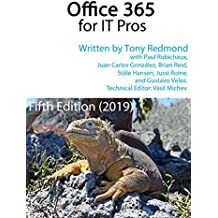 If you can’t get to one of our seminars, why not buy a book to help with your deployment of Exchange 2010 SP1. And if you do, please consider consider Microsoft Exchange 2010 SP1: Inside Out. Thank you very much for registering to attend Essentials Workshop: Become an Exchange 2010 Maestro in Boston. We’ve been working on the content and labs for this event for the last six months and are really looking forward to sharing the product of that effort with you. This note is to give you a heads-up about some aspects of the event so that you are fully prepared to extract maximum value over the three days that we’ll be spending together. We have lots to talk about when it comes to Exchange 2010, including the changes and updates that Microsoft introduced in Service Pack 1 (SP1). We have a compelling agenda that hits all the major areas of interest when it comes to designing fully functional Exchange 2010 environments, but we apologize up front if we don’t cover a specific point that’s of interest to you. The simple truth is that we have enough content to last two weeks – but who wants to spend two weeks listening to us, especially with the warped sense of humor that we sometimes demonstrate! Even though Tony worked for HP and has an interest in printer inks, we don’t believe in killing masses of trees to print everything off – nor do we want you to run up big FedEx bills to ship heavy printouts home. We will provide you with access to PDF versions of all of the PowerPoint decks that we use through a password-protected web site. You’ll receive the password and details of the web site at the seminar. Clearly this material is protected by copyright so we’d appreciate if you don’t share it with others. We have assigned between two and three hours of labs daily. The labs are designed to complement the lecture content and reinforce the information that we present. The virtual servers used in the labs are designed to run on VMware V7.1 on a high-end laptop. We recommend a laptop running 64-bit Windows 7 (any particular version) with at least 8GB of memory. You’ll probably need a small amount of free space on your system disk but this shouldn’t be a problem given the size of the whopping disks installed into laptops these days.The virtual machines used for the labs will be provided to you on an external drive that you are free to take away after the event to use for further testing. Please make sure that you come with a suitable laptop as you will not be able to participate in the labs otherwise. We will not have extra machines available at the event. The workshop is being held at the Doubletree Guest Suites Boston (Directions). Once you’re at the hotel, follow the signs to the Become an Exchange 2010 Maestro workshop to find the seminar room. We should be pretty obvious unless someone like the Lotus Notes development team infiltrates the event. The seminar room will be open from 8AM on the first day to 7PM daily. Please don’t come down to the seminar room the day before the event as you’ll probably be appalled at the language we use as we work through the inevitable glitches that always seem to occur when you set up a room for an event like this. You’ll have wireless access to the Internet in the seminar room during the seminar and can use this to access essential information such as the presentation material. We’d like you to stay focused while the presentations and labs are in session and would appreciate if you could make a big effort to avoid the lure of the net and not check email, update your Facebook status, create new LinkedIn connections, trade on eBay, or manage your stock portfolio when we are speaking. If you do, you run the risk of being shamed publicly as Paul has a wicked way of bringing offenders to the attention of the entire seminar. Please send email to subs@windowsitpro.com or call 800-793-5697 if you need help with something before you arrive in Boston or if you have any other questions that we need to answer. If you need anything while you’re at the event, you can contact the on-site Windows IT Pro representative and they’ll do their best to help. Again, thank you for registering to attend Essentials Workshop: Become an Exchange 2010 Maestro in Boston. We promise we will do our best to communicate as much information as we can over the three days. This entry was posted in Exchange 2010, Training and tagged Exchange 2010 Maestro, Exchange 2010 SP1, Exchange 2010 SP1 training, Exchange 2010 Training. Bookmark the permalink.